BURRISSIMO FRESH ITALIAN - COSTA MESA (CLOSED) - EAT WITH HOP! Frankly, I don't know why this place is not the rage. This place is basically the assembly line system for pasta and pasta burrito (what? burrito ?!). The ordering process is similar to that of Chipotle, Subway, and Pieology. I have tried the Pasta Bowl and Pasta Burrito and BOTH ARE WORTH THE MONEY! In a sense, I'm glad that it is not totally the rage because I never have to wait in line when I go here. 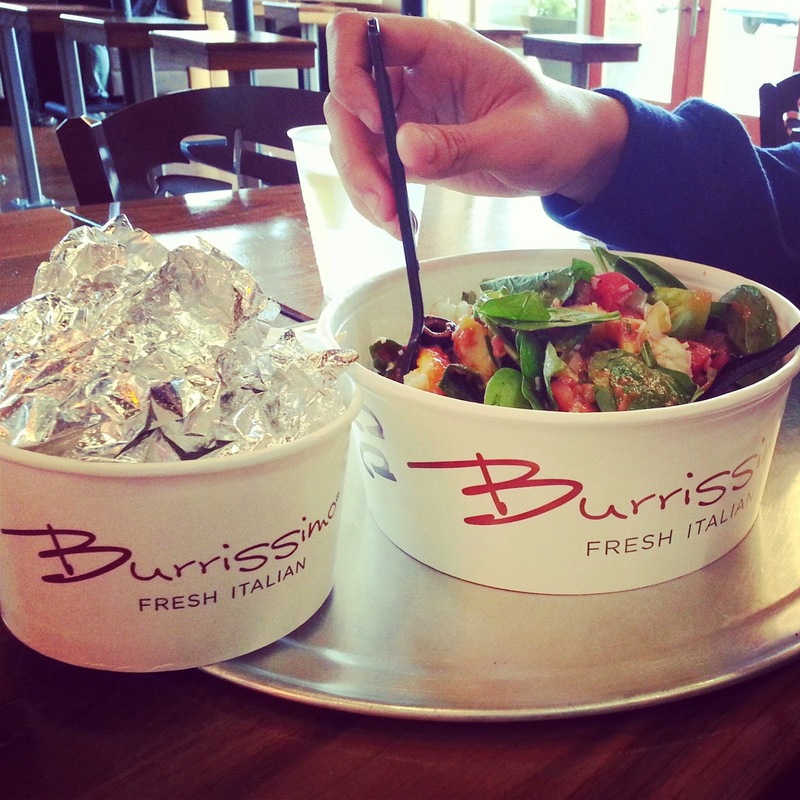 The first time I came here I got a pasta bowl. My first impression when it came out was...DAMN. THIS IS HUGE. TOTALLY SHAREABLY FOR TWO PEOPLE FOR ONLY AROUND $8 BUCKS. It was SUPER DELICIOUS TOO. The 3rd time I was in a rush and ordered to - go (to surprise my bf at school with lunch!) and luckily THERE WAS NO WAIT and the order was made quick! I got two PASTA BURRITOS and they were THE BOMB DOT COM. I never knew that pasta inside a burrito could be so good... One was chicken and the other was steak. Both were to die for especially for the great price. This is a great place for lunch during your break between classes at OCC. WHY IS THIS PLACE SO EMPTY EVERYTIME. The store itself is HUGE. Bigger than the Chipotle nearby and there's even THAT BOBA PLACE next door for your dessert and drink needs. More people need to know about this place!